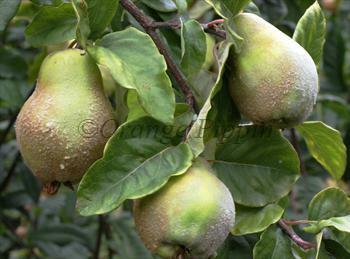 Champion is a popular quince, suitable for most of the drier areas of the UK. The spring blossom is particularly attractive. Please fill in the details below and we will let you know when Champion quince trees are back in stock. Champion is in flowering group 2. Champion is partially self-fertile, but fruiting will be improved if there is a compatible tree of a different variety nearby. 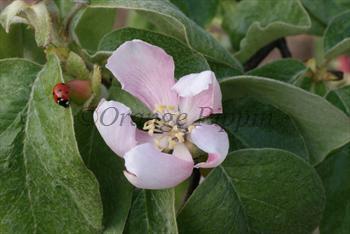 Champion prefers a dry location with a southern aspect - but is more tolerant of wetter conditions than other quinces. Although considered self-fertile, in practice cropping is improved if there is a compatible pollinator - try planting Meech's Prolific or Serbian Gold nearby.